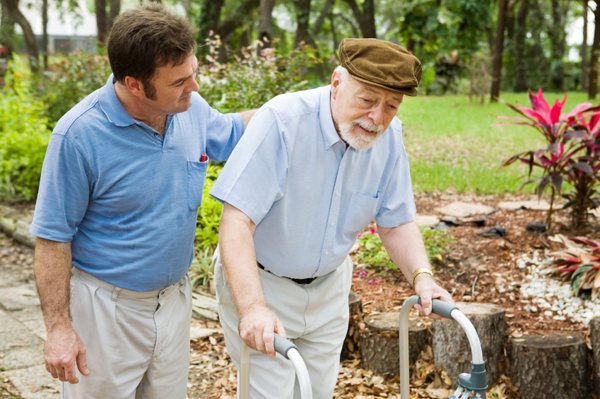 When Is The Right Time For Assisted Care? No matter our age, health issues can arise at any time. While we would all like to think that we will be able to remain independent until we pass from this world, the truth of the matter is that is not necessarily true. I am currently watching a young friend of mine experience some severe health issues. They have lived a life of independence and freedom dictating for themselves what each day will hold. Yet, here we are much earlier than usual in life, and the health issues dictate the daily routine. So our conversations of late have revolved around the fact of when is it the right time for assisted care, and what type of care is appropriate. Indeed, this is very individualized and a difficult decision regardless of the circumstances. For us to make the proper decision, we have engaged conversations with medical staff, social workers, and family members to determine what is the best option. They have all brought different value to the table from level of care to home arrangements and environment concerns to medical coverage and family abilities. We are very thankful for all of them and their ability to help us make these decisions which are very difficult and can sometimes leave family and friends feeling guilty and concerned. If I could offer any advice based on our experience over the last few weeks, I would certainly say this: 1) Be sure to engage all available, knowledgeable staff and assistance. This allowed us to make an informed decision that we all feel confident is correct. 2) Someone made the statement to us that placing your loved one in an assisted living facility is not a bad thing. They went on to explain, when you understand that you can not provide for them the level of care that is best, it is an act of love. So release any feelings of guilt. When you know it’s in their best interest, do the best you can to help them understand and love them through the transition. While it may present its challenges along the way, you will know you’ve made the right choice as you see the level of care they receive. I am not by any means saying that assisted living facilities are the only option, they are just the right option for us at this time. Take your time, consider the circumstances, do your research and make the decision you know is best for your family and friends. You will be glad that you called on others for professional support no matter the method. There are many great options for home health care assistance and a great selection of equipment and supplies to help make home health care more manageable. For support in making choices and determinations of equipment you may need, reach out to us at Burlington Health Care and we will be glad to help.